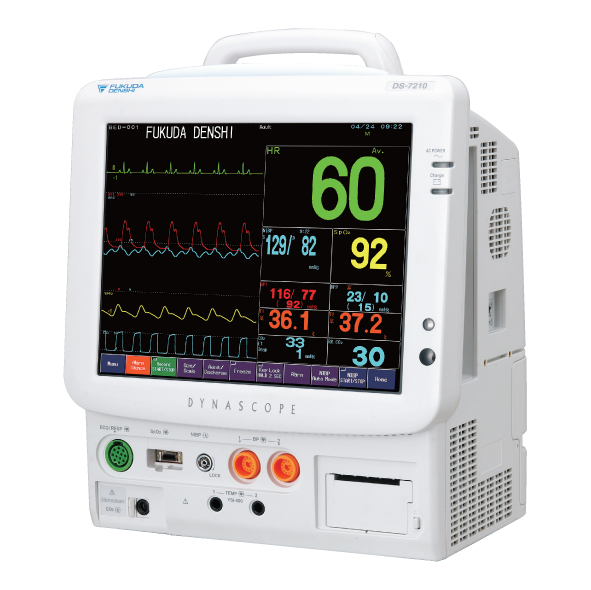 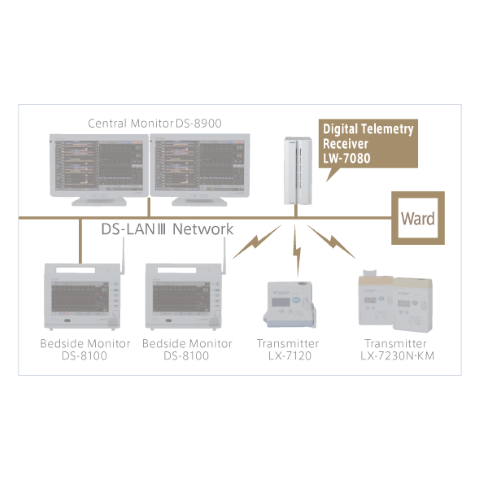 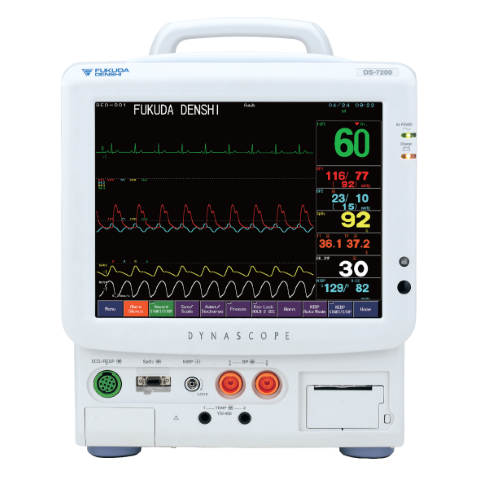 Compact and highly integrated 12.1 inch monitor with flexible modules and a CO2 unit enables easy and safe monitoring in High Care units or various healthcare scenes. 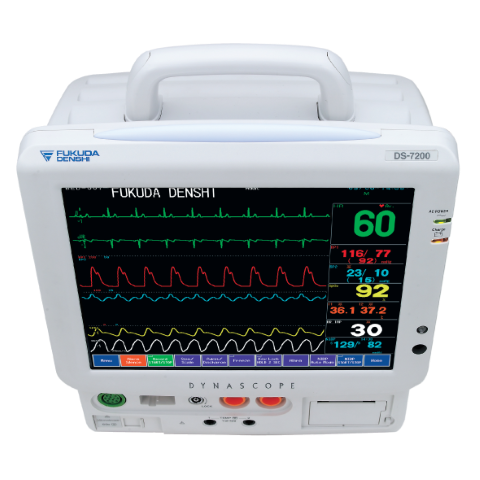 The DS-7200 is a patient monitor that measures 12-lead ECG, Respiration, HR, NIBP, Pulse rate, SpO2, CO2, Temperature (up to 3ch), BP(up to 5ch), and Cardiac Output. 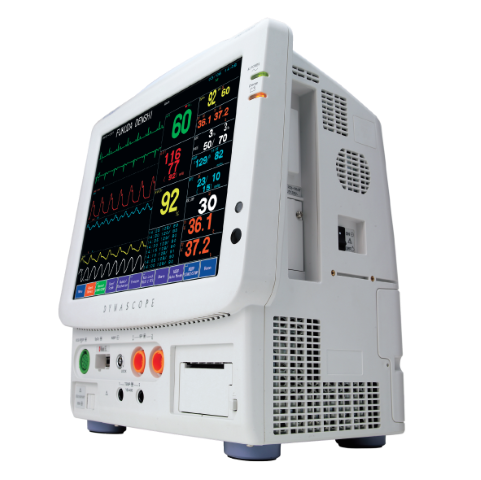 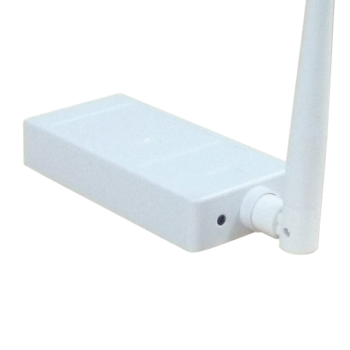 LX-7230N (Nellcor) is a waterproof transmitter used to monitor electrocardiogram, respiratory and SpO2 waveforms. 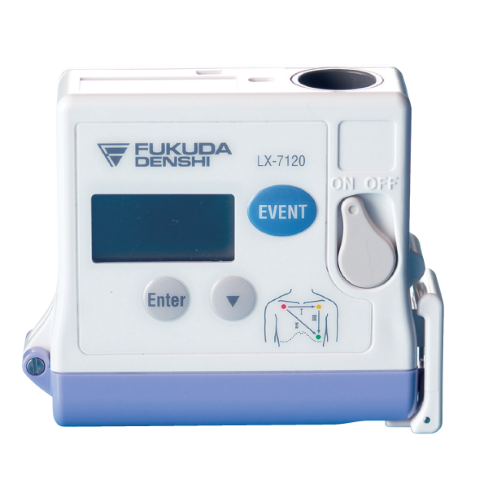 The LX-7120 is a compact and waterproof transmitter used to monitor electrocardiogram and respiratory waveforms.